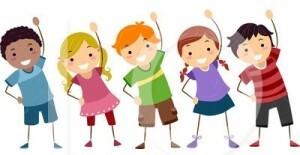 Our next session of PLX Kids Fit Camp will start Saturday April 20th. Get your kids signed up for the next session! 4 Week class. Saturdays at 11am starting April 20th through May 11th. Instructor Ashley will teach kids various fitness techniques, have them run obstacle courses and perform other fun fitness activities. Kids ages 12 and under, should be old enough to follow instructions. Contact us to get registered or register at the club.